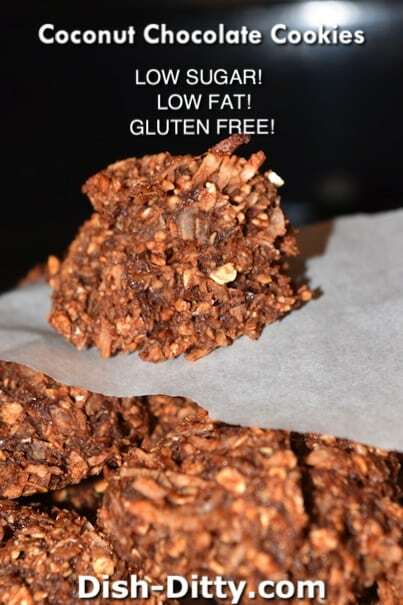 I’m always looking for new natural cookies that have no refined sugar and are low in fat. Gluten free is always a plus too. These Coconut Chocolate Cookies meet all those requirements. I’m still working on cookies that are low in calories, carbs, and everything else. But so far, that’s just air. 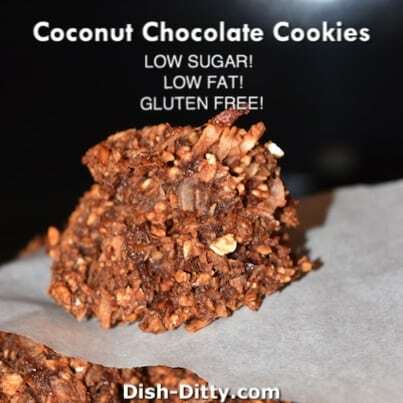 So, these cookies are a great alternative to store bought or high fat, high sugar cookies. Beat the coconut oil, eggs and mashed bananas until smooth. Add the coconut sugar and cocoa powder and beat until combined. Add the ground flax and oat flour and mix well. By hand, mix in the coconut and oats. Drop onto cookie sheet lined with parchment paper and bake for 12 minutes at 350 degrees. Refrigerate leftovers. 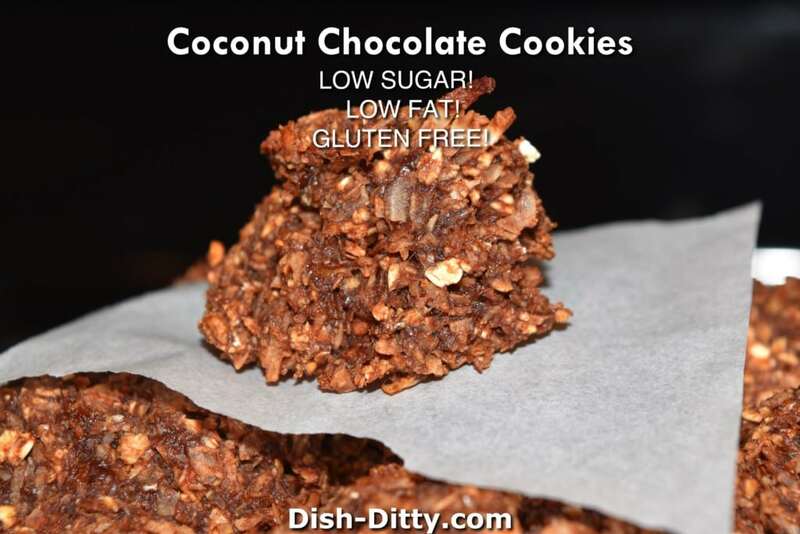 No Replies to "Coconut Chocolate Cookies (Low sugar) Recipe"